Sometimes there is a need to sperate/limit the cms permissions for some users. These users can be an article editor or an article approver. 6. You will get a complete list of all avaiable permissions. 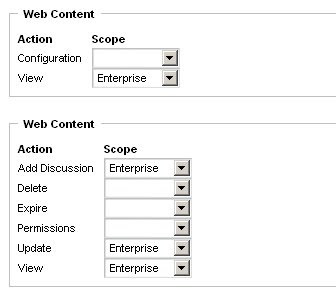 Select the permissions you want to assign to the editor role. # Configure email notification settings. 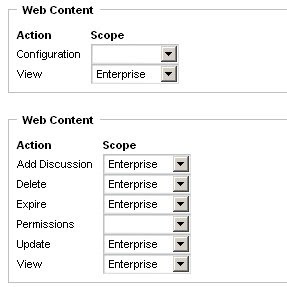 "Rich Sezov,HOW TO deploy portlets in websphere". But I haven't traied in Liferay 5.1 and 5.2 . I try to install "product-registration-portlet-5.2.0.1.war.zip" an "sample-hibernate-portlet-5.1.1.1".